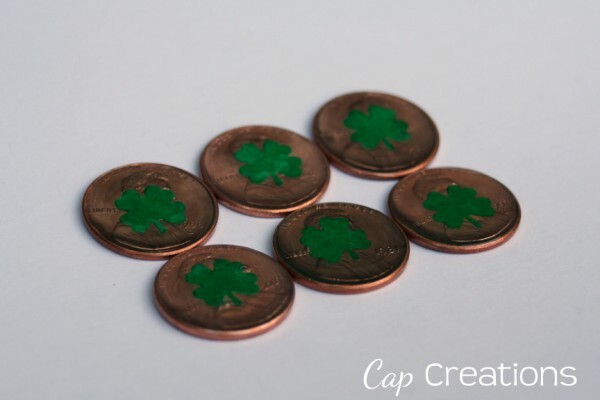 Do you have a lucky penny? Lets make one! These are perfect for St. Patrick's day. Shine your pennies if you like, this is optional but I tell you how later. 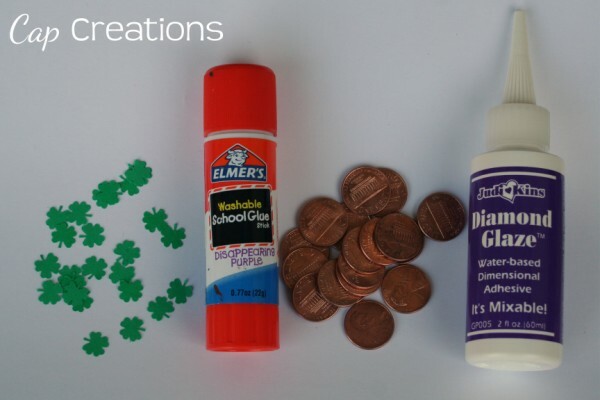 Glue a clover to a penny using a glue stick like photo below. If your confetti is that thick plastic then there is no need to glue it. Just place it on the penny. 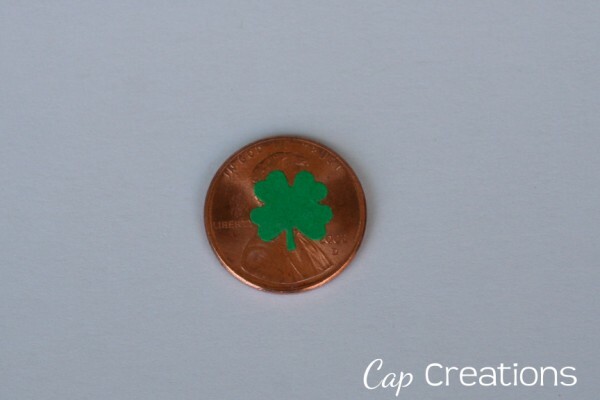 Using the Diamond Glaze put a layer of glaze over the clover and cover the entire face of the penny as well. And let dry, drying takes a few hours. No photo of me applying the glaze so just imagine! The glaze comes out a bit white but will dry clear. 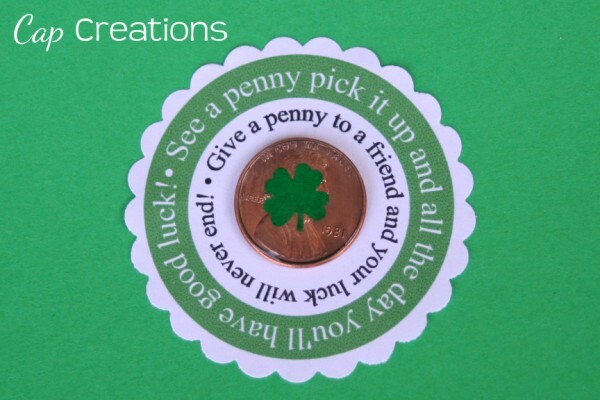 Now you have a lucky penny with a permanent 4 leaf clover! 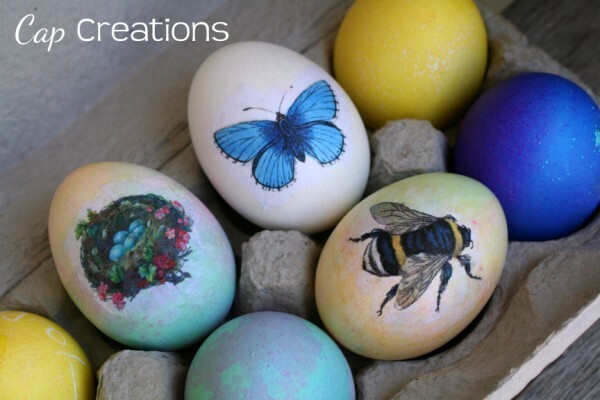 Make lots and attach them to the free card below using double stick tape, a dab of glue from a glue gun or glue dots. Pass them out to your friends and enjoy! 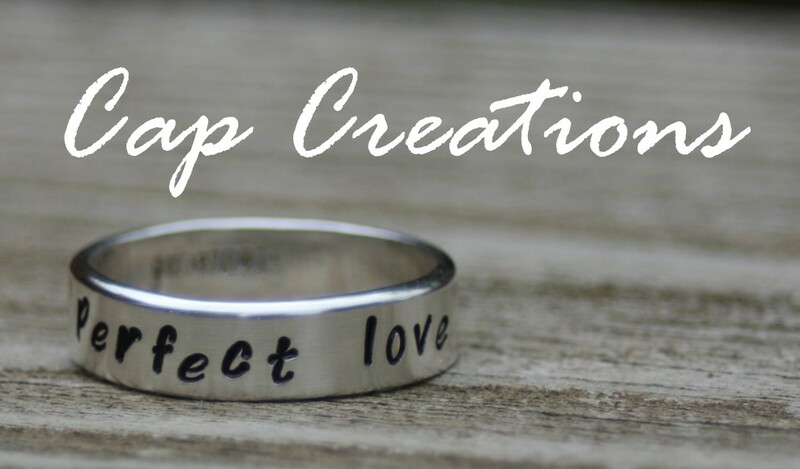 Click HERE or on image below to download the free tags. Then use a 2 inch hole puncher to punch them out. 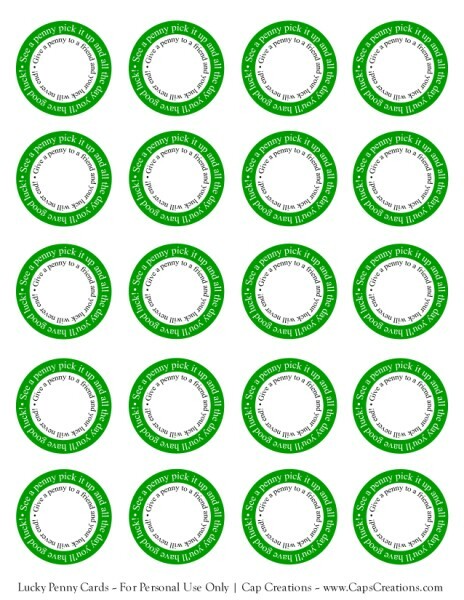 You can also cut them into squares if you do not have a large hole puncher. 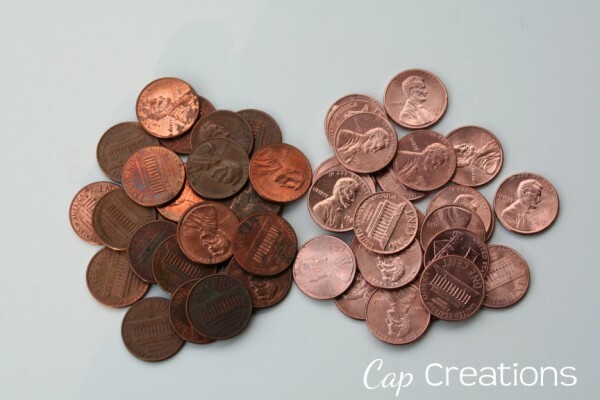 To shine pennies pour some vinegar and salt into a bowl, add pennies to this mixture and let set for just a few minutes. Next rub your pennies with some baking soda, rinse and they are done. As you can see in the photo below, the pennies on the right are the ones that I shined. They looked just like the ones on the left before I shined them. I'd love to hear if you make these. So don't be shy, let me know! Thank you so much for this post. I want to let you know that I posted a link to your blog in CBH Digital Scrapbooking Freebies, under the Page 3 post on Mar. 12, 2012. Thanks again. Thank you so much for this post. I want to let you know that I posted a link to your blog in CBH Digital Scrapbooking Freebies, under the Page 2 post on Mar. 12, 2012. Thanks again. What a cute idea. I remember putting pennies in a jar of ketchup when I was in kinder and the acid from the tomato cleaned them up. It's funny, the things we remember. Very cute. Now I want to go clean some pennies! What a cute idea!! 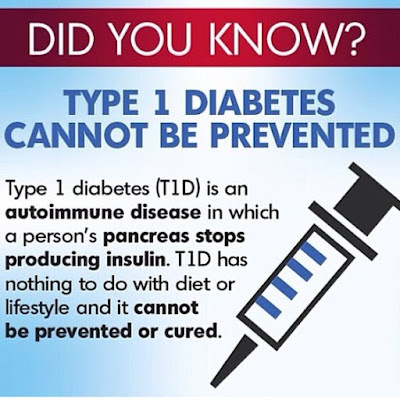 Thank you for sharing your idea and printable. Your generosity is appreciated. @Liz CrockerThat's great Liz! So glad you could use them!